I am a disaffected Moneyball pioneer who loves cars. Eight years ago today (!) I began working at a very large financial services company. I lasted nine months before I resigned. The only reason I lasted more than nine weeks is that my wonderful wife also worked there and it was great commuting and having lunch with her. Although it is a very successful company I am mystified as to how that can occur given what I saw. My immediate supervisor was a…well he was…he was an a**h*le. If he is an example of middle management then I can understand how only 30% of Americans like their job. The company “culture” was such that if anyone didn’t drink the company “Kool-Aid” then they would suffer no matter how proficient they actually were at their job. Creativity and individualism were not encouraged. Moving people to their highest-valued role as quickly as was practical was not a consideration. People in my position underwent a six-week training course. Our job obviously involved using a computer, but the IM infrastructure there was surprisingly antiquated in my opinion. Multiple systems had to be used to execute job tasks. The company was trying to move all functions to one or two systems, but during training the instructors would still instruct on the older systems even acknowledging the company efforts to modernize. When I resigned after nine months, only 5 of 12 people in my training class were still with the company. More than 50% turnover in less than a year! People vote with their feet when they can. The silver lining in the cloud is that my frustration with work led me to start blogging. Of course the Evil Empire (aka Google) deleted my first blog after SIX years because, well because they’re evil. I have been blogging with WordPress for 15 months and they, so far, have treated me well. “For restaurants, minimum wage hikes usually mean higher menu prices and fewer employee hours, according to a survey released Wednesday. Companies don’t possess infinite resources and cannot raise wages without consequences. By the way, governments don’t possess infinite resources, either. For many this model year represented the last “real” Packards as beginning in model year 1957 all Packards were based on Studebakers and built at the Studebaker factory in South Bend, Indiana. Remember that the two companies had merged in 1954 with Packard, technically, as the acquiring company. Packard production ceased after the 1958 model year. Clipper production for model year 1956 was about 18,000, which represented the majority of Packard’s total production of approximately 29,000. This Clipper probably had the Packard designed 352 cubic-inch V-8 with an output of 240 HP/350 LB-FT of torque. To me the car looks like a Packard despite the badging. I think it is a gorgeous car and a great example of a 1950s American automobile. If you like this blog please tell your friends and share the blog URL (https://disaffectedmusings.com). Thanks. I can do almost anything except create the opportunity to do almost anything. Virtually all successful people have had help in becoming successful. Let me quickly add that 99.9% of “work situations” do not appeal to me. However, that still leaves a lot of potentially fulfilling opportunities. Almost two years ago I sent a letter to every member of the board of trustees of the local museum that presents the marvelous annual auto show that my wonderful wife and I attend. I mentioned this state’s long history in automobile manufacturing and the tremendous turnout at local car events. I asked why this state doesn’t have an automobile museum and offered my help in getting such a project started. I included my resume. I never received a single response from any trustee, not even a form letter acknowledging receipt of my letter. People are incredulous when I tell them that story, but it’s the truth. While I am very proud of this blog and post almost every day, it doesn’t pay the bills. Most people want to feel as though they have some value and that value is usually expressed monetarily. America is drowning in credential-ism and age discrimination. OK, today’s Throwback Thursday is also sort of a What Car Is This? post. From allcarindex.com a picture of the car in question. Do you know what this is? Only six of these were built in 1971-72. The engine is a good old Chevy 350 cubic-inch V8. If I tell you the names of the two people responsible for building this car then the name of the car will be revealed. I think that like many of these hybrids, this car just looks amazing. 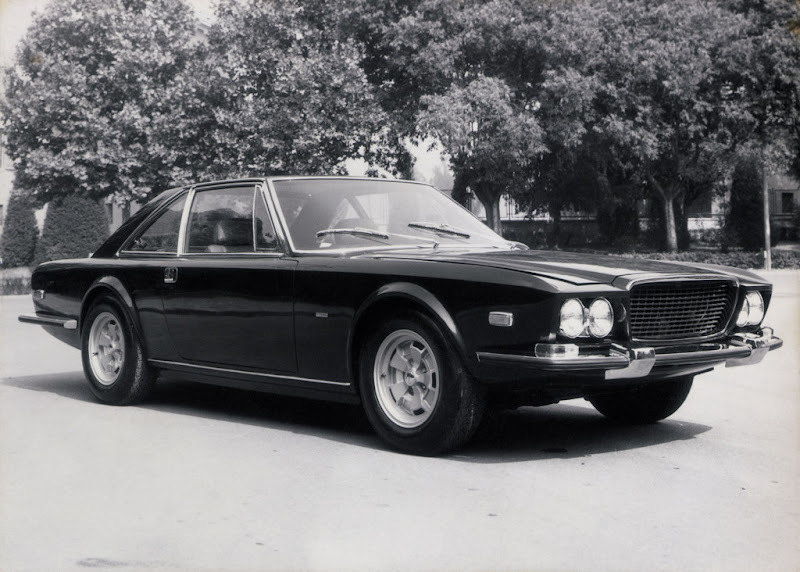 I think the blend of an American V-8 in an Italian body with the technology of other countries (the front suspension of this car was from Jaguar) is just phenomenal. What is it? It is a Momo Mirage; the Alfredo who co-fathered the car was Alfredo Momo. I will almost certainly never see one of these in person. For many of “today’s generation” virtual “experiences” are enough to satisfy. That belief is one reason that many museums are struggling to stay open. However, I like to experience the world in three dimensions that are real. What do you think of this car? What exotic automobiles excite you? As always, I would very much like to read your opinions. Although not an original phrase, my wonderful wife suggested “Throwback Thursday” as a topic and given my affinity for alliteration I thought, why not? 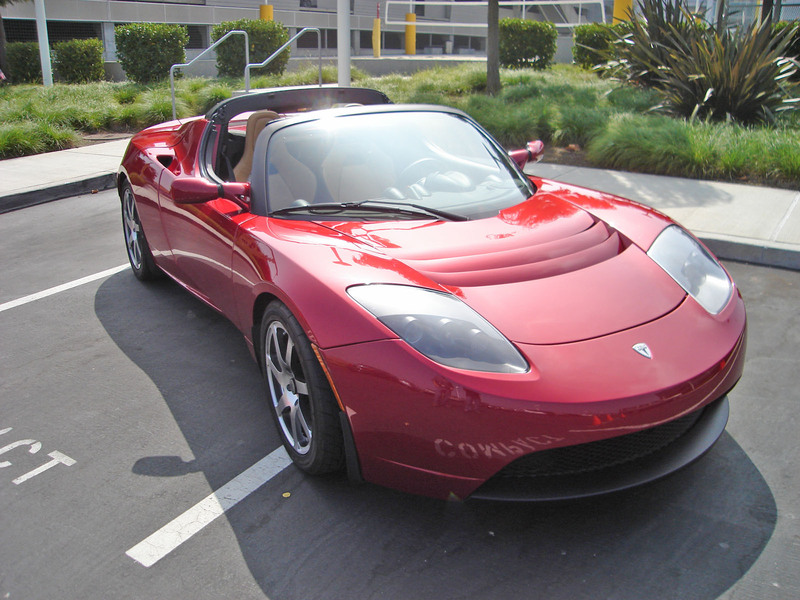 On this day in 2006, Tesla Motors revealed its first roadster prototype in Santa Monica, California. Tesla is a very controversial company. Some people worship Musk and the company as the way to the future of the automobile. Others think the company, which is publicly traded (as of 2010) and has never earned a profit, is not on sound footing as the company often borrows money in order to keep operating. Others think that the traditional automakers, with their vast resources, will surpass Tesla in EV technology and production. Of course, no one really knows what will happen with Tesla and electric vehicles. Without question, whether or not Tesla still exists in five years, Elon Musk and the company with which he is so closely associated have left a mark on the automobile industry. From wallpaperup.com a picture of a 1935 Duesenberg LaGrande dual-cowl phaeton. 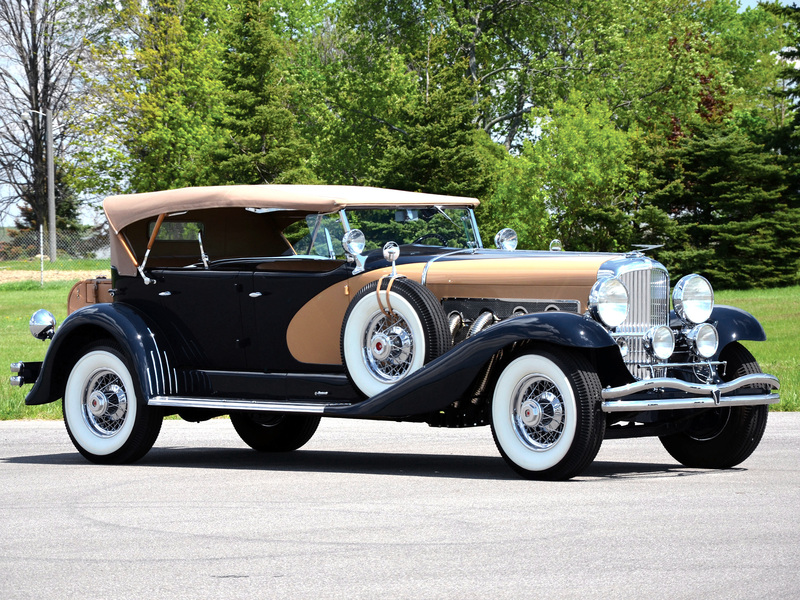 To me, Duesenberg is a prime example that the phrase, “Build a better mousetrap and the world will beat a path to your door” is often incorrect. Duesenbergs are worshiped as perhaps the ultimate in American cars and, today, can sell for millions. No expense was spared in their production and their technology and performance were way ahead of anything else on the road. However, due to the Great Depression and to mismanagement, the company folded in 1937. Despite my lifelong love of automobiles, cars like this didn’t really interest me until recently. My auto universe has expanded and, hopefully, will continue to do so. What would you like to see in future editions of Throwback Thursday? Hey, where else on the Internet are you going to see a Tesla and a Duesenberg in the same post?! 1937 Cord 1956 Buick Century 1965 Buick Riviera 1965 Corvette 1966 Corvette 1967 Chevrolet Corvette 1967 Pontiac GTO 2016 Chevrolet Corvette Z06 2019 Corvette ZR1 Barrett-Jackson Bill James Bill Stephens BMW Z4 Bring a Trailer Buick Reatta Buick Y-Job C4 Corvette C8 Corvette Cadillac Allante Cadillac XLR Carpe Diem! Corvette! Cristy Lee defunct American car makes DeSoto De Tomaso Longchamp Frank Robinson Frugal Friday ignorance is not bliss It's A Sickness Jaguar E-Type Jaguar F-Type Kevin Towers Mecum Auto Auctions Mega Millions My 2016 Corvette Z06! my wonderful wife Nissan GT-R Patrick Mahomes restomod C2 Corvette restomods Saturn Sky say no to ideology Steve Magnante Studebaker Studebaker GT Hawk Throwback Thursday Ultimate Garage Ultimate Garage 2.0 What Car Is This?